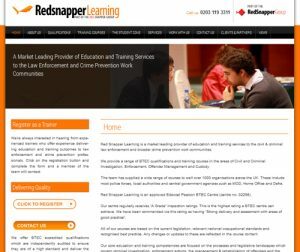 The Red Snapper Group (RSG) is a market-leading recruitment business, media business and education services provider for the crime prevention, criminal justice, regulatory services & business resilience work communities. The media offering which we have created and support for RSG is the biggest in the market. The network receives over 500,000 monthly unique visits. 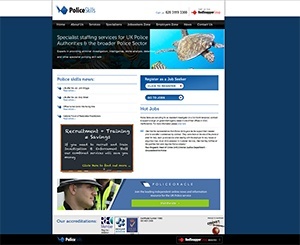 The two leading sites are www.PoliceOracle.com and www.BlueLineJobs.co.uk. RSG owns a registered BTEC (Business and Technology Education Council) centre. It offers a portfolio of qualifications to help upskill, qualify, and meet the CPD aspirations of their client base and provide bespoke education and training services to larger employers wishing to bring ongoing CPD development in-house. 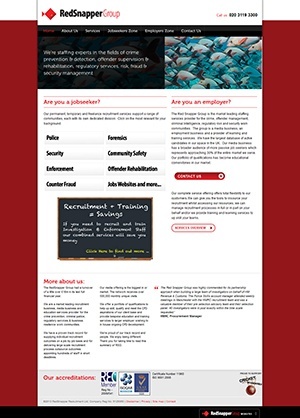 Over the past ten years, F28 have built and supported a wide range of products for RSG including the WSCRM, a candidate and client management package that allows the RSG team to communicate and link up prospective candidates to relevant employers. It is the centralised hub for all candidate registrations from any of the RSG websites or job sites. — file management systems, allowing for upload/download and sharing of documents between RSG and clients. The Red Snapper Group has an extensive and complex range of web sites. They range from being core internal tools central to business delivery through to customer facing media sites receiving hundreds of thousands of visits each month.